Join Creative Director, Designer and Candlemaker Laura Thomas (Laura Thomas Co) and team at the LT HQ in North Berwick for an exclusive half day workshop at the LT HQ in North Berwick. During the morning you will make two 8.5oz sized soy candles (with a total burn time of 60 hours), break for coffee and homemade cake, then then set to work making your own natural hand wash (500ml) and create a bath salt scent to add to your bath salts (250ml), then adjourn to lunch to sit around a long table seasonally styled by LT, over looking North Berwick Law for an LT vegetarian lunch served with a glass of alcoholic or non alcoholic fizz. Take away products with a value of £72.50. Laura shares her insider knowledge, secrets, tips and tricks of the trade that will enable you to create and learn about the art of candle making. Take away oodles of inspiration, pick Laura’s brains and discover all you need to know about all things candles. Description of commonly used waxes and their pros and cons. An overview of the different types of wicks and what wick testing involves. Discussion about the different scent options of fragrance oils and essential oils. Step by step guide to the process of producing a container candle including measuring correct quanities of wax and scents required. Choose, mix and measure your own scent combinations. Create and hand pour your own container soy candles. Take away 2 x 8.5oz candles with a total of around 60 hours burn time. Learn the art of scent blending and the techniques involved in this. Mix together all elements involved in creating your natural hand wash. Learn what ingredients makes a natural hand wash. Learn about what chemicals to avoid in a hand wash.
Take away a 500ml Hand Wash in an amber glass bottle with black pump dispenser. Learn about the health benefits to bathing in salt. With your new learned blending skill, blend scents to add to your bath salts. Take away your newly created Bath Salts in a 250ml amber glass bottle and black screw lid. Sit at a long table over looking North Berwick Law beautifully styled by LT. You’ll be served a homemade vegetarian lunch made by LT (a previous cafe owner) and enjoy a well earned glass of alcoholic or non alcoholic fizz. 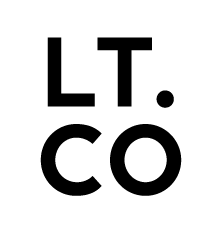 Feel free after lunch to shop the LT range in the Workshop as you’ll automatically receive 20% off all homewares, scents and bedding by attending the course. Workshops are roughly 4.5 hours long. Take away with you two container candles, 500ml Hand Wash and 250ml Bath Salts both in a reusable bottle. Meet new people, learn something crafty and take your hand poured candles home with you to burn as well as your other beauty products to use. A must do if you love scented candles, craft, natural beauty and a good lunch!